The award is given annually to local business leaders whose drive, intelligence and creativity lead to notable business success. DANBURY, CT – On Tuesday, March 26, 2019, Cynthia Emiry Roy, CEO of Regional Hospice and Palliative Care, in Danbury, CT, was honored with the prestigious Macricostas Entrepreneur of the Year Award from Western Connecticut State University. The award, sponsored by the foundation of Brookfield industrialist and philanthropist Constantine “Deno” Macricostas and his wife Marie, has been given annually, since 2008, in recognition of local business leaders whose drive, intelligence and creativity lead to notable business success. Roy has dedicated her entrepreneurial career exclusively to nonprofits and is only the second honoree to helm a nonprofit organization and the second woman to be recognized. During the event Cynthia was presented with citations from Senator Julie Kushner, Representative Raghib Allie-Brennan and Representative David Arconti. Additionally, the Connecticut Commissioner of Veteran’s Affairs, Tom Saadi, presented her with a citation on behalf of the Department of Veteran’s Affairs for her commitment to serving our Veteran’s and their families through her work at Regional Hospice. 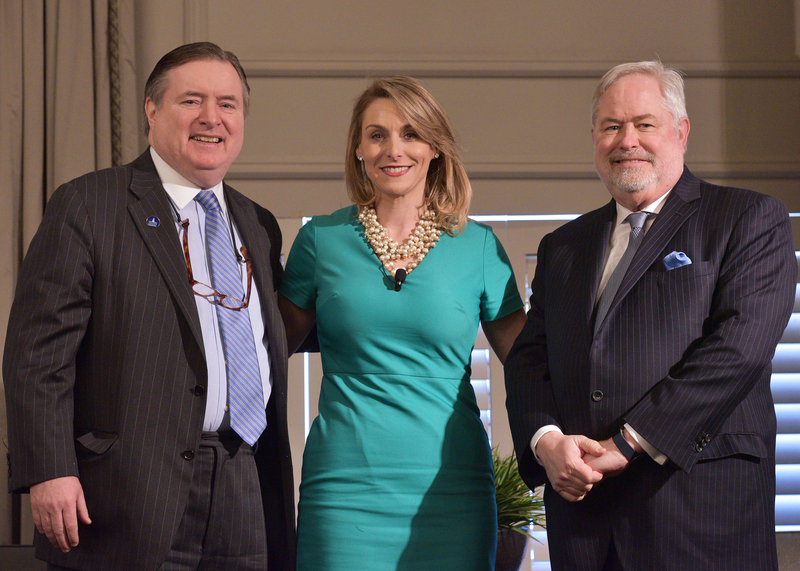 The event drew over 275 attendees, a record-breaking figure for the luncheon and ceremony. Roy’s determination to set a new standard in hospice care began in 2010, when she started lobbying state and federal representatives about reinventing Connecticut’s antiquated 1977 regulations for inpatient hospice care. Having served for over 20 years in the industry, she was convinced that inpatient hospice care regulations could and should be improved. After years of waging this battle, Roy succeeded in setting a new “best practices” standard for the way hospice care is provided in Connecticut and across the country. In 2015, her dream of creating a specialized facility dedicated to providing comfort and dignity to patients and their families at end-of-life came to fruition, with the opening of The Center for Comfort Care and Healing, a $15 million, 36,000 square foot, nonprofit, all-private-suite hospice facility. The Center has received both state and national recognition, creating a model for in-patient hospice facilities around the country. Under Cynthia’s leadership she has grown Regional Hospice from a small business to an $18 million corporation.